Living and working under isolated and confined conditions can lead to several changes in humans. From a psychosocial perspective, life in isolation/confinement leads to changes in behavior, communication and coping with conflict. There are also physiological changes e.g. hormonal changes, energy metabolism and body composition that occur under these extreme conditions. Since space missions in are, and probably will be for the foreseeable future, associated with life in a confined and isolated environment, investigating these changes is of high interest and importance with regard to preparation for long-term space flights. Terrestrial analogues such as submarines, oil-rigs, remote research stations and even isolated and confined study facilities purposely designed to study the effects in humans (e.g. as in the Mars500-study) can be used to conduct research in this field. Also, space-related research finds its applicability to other uses on earth such as remote areas. Furthermore it has been suggested that future long-term space missions, especially those where possibilities of retrieval or rescue equal zero (e.g. a journey to Mars) will become comparable to examples of historic exploration such as Columbus’ voyages or the explorations of Nansen, Amundsen or Shackleton. Psychosocial as well as cultural differences and styles of communication may have a high impact on mission success in addition to a well designed work schedule and proper leadership skills. These psychosocial changes add a further element in combination with physiological changes of humans living in isolated and confined spaces. 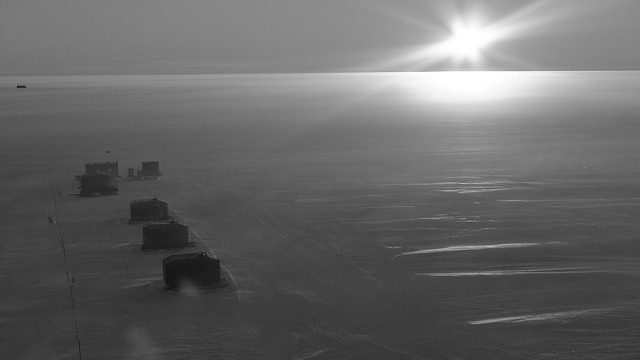 Studying changes such as energy expenditure, body composition, sleep, executive function as well as hormone imbalances (e.g Vitamin D), erythropoesis and others in overwinterers of the German research station Neumayer III serves this investigative purpose. Long term missions in the Antarctic are an excellent analogue approach since the dependency on technology is very high (due to the cold environment). Also rescue attempts cannot be undertaken easily, just like in space. The circadian rhythm, as well as the amount of sensory input changes considerably (i.e. long periods of daylight or no light at all as well as sensory deprivation).